How can we help students stay alert? Listen to the architect Mette Pettersson at Erséus Arkitekter (http://www.erseus.se) talk about the case study Frescati. It can be difficult to get the light deep into buildings with traditional solutions for natural light. Studies show that students learn better and have improved cognitive performance when they can work in natural light. 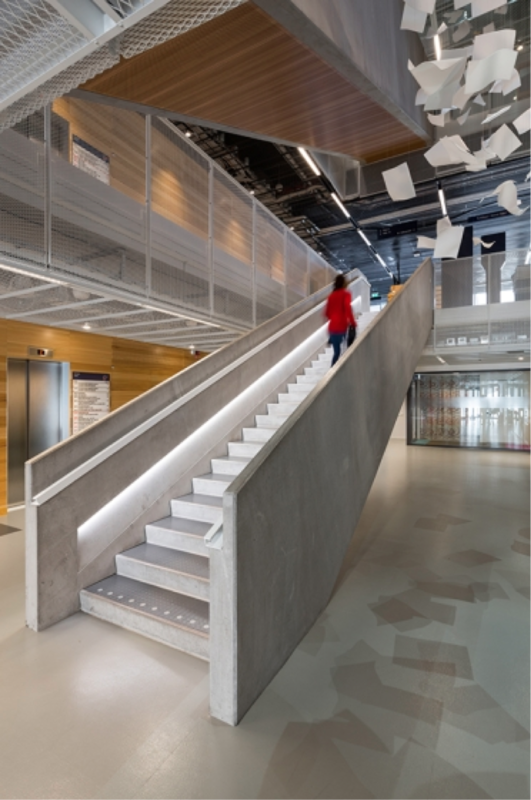 Yet not all workplaces are accessible to sunlight, so when the new student house was being built, Stockholm University together with the property owner, Akademiska Hus, wanted to give the students natural light also deeper into the building. 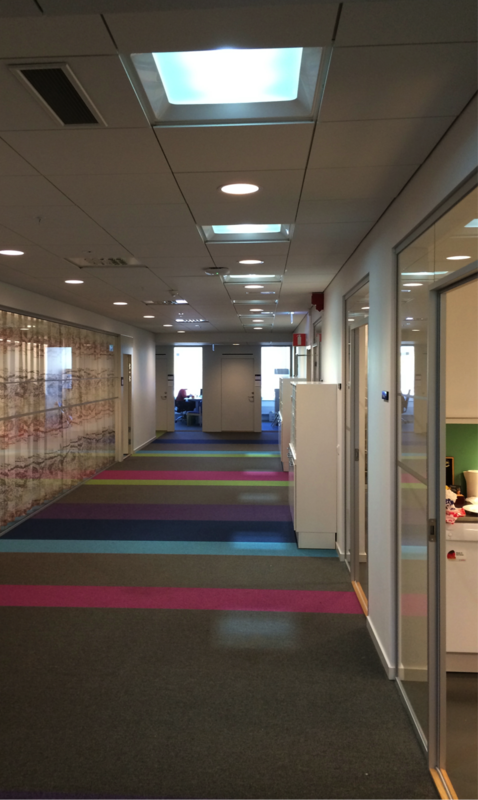 The Parans system is being used to distribute light into three different areas: a meeting room, a corridor and the main stairs in the building’s entrance. These areas are situated deep into the building with no direct access to windows, each of these areas are now flooded with natural light, via the Parans system. In the building entrance, the natural light is also being used to illuminate the art installation Twirl by the main stairs to great effect. The building has a green profile and is environmental certified according to Swedish Miljöbyggnad Silver.